The Metro Gold Line Foothill Extension Construction Authority is an independent agency that was set up to build the next phase of the light rail line from Pasadena to Azusa. 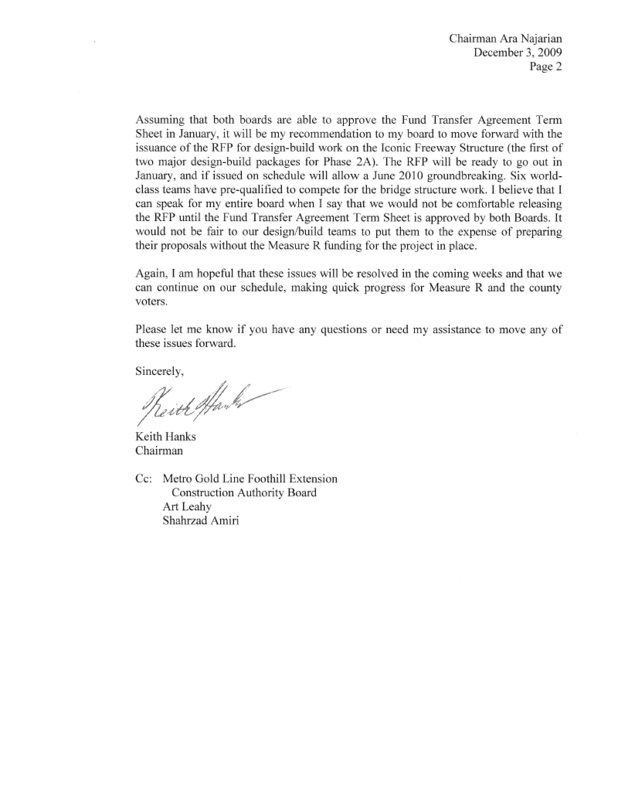 The Authority last week released a letter to Metro about ongoing negotiations for a funding transfer agreement with the agency. The agreement allows Metro to transfer Measure R money to the Authority for construction of the light rail line. 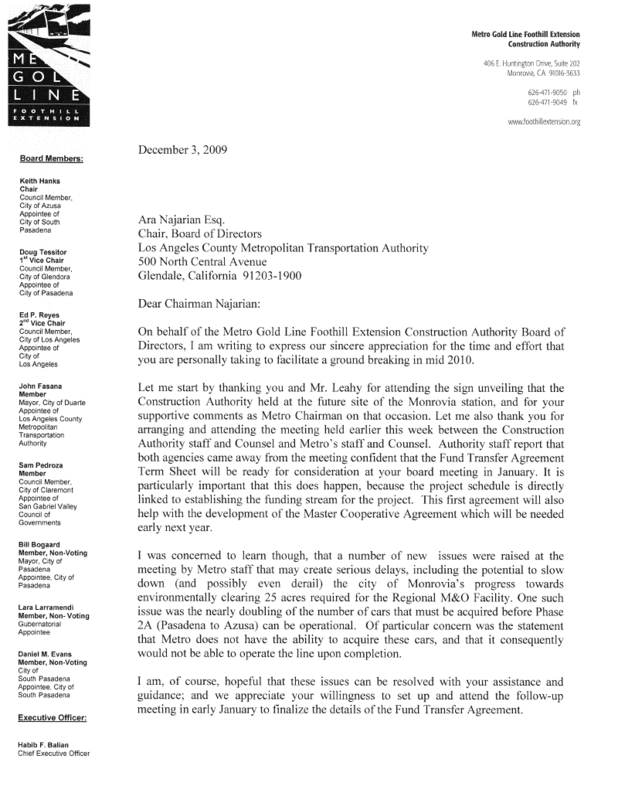 The letter from Authority CEO Habib Balian to Metro Board Chairman Ara Najarian is after the jump (you can also view the letter by clicking here). Keep in mind this is part of an ongoing negotiation and the letter represents Balian’s point of view. Balian has said publicly that he wants to break ground on the project next June and have it open to riders in 2013. In October, the Metro Board agreed to begin operating the line in 2013 should the Construction Authority come up with a financing plan to build it by then (such a plan will likely involve getting a loan from a contractor then repaying it with Measure R money). The Measure R funding alone is scheduled to have the line complete by 2017.